Great detail in larger size. Nature is a marvel. very colorful and exotic looking. Nice shot. 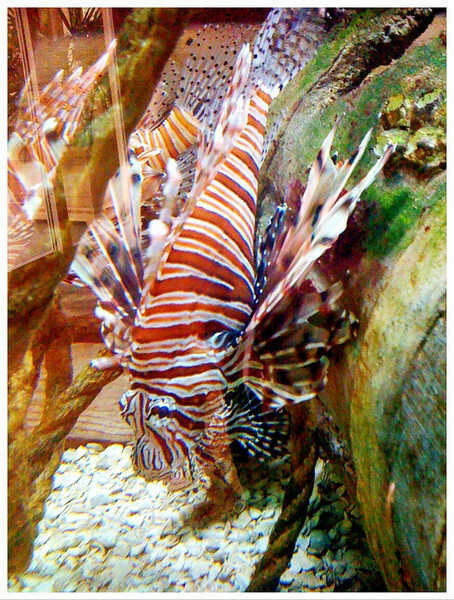 Lionfish are among my favorites to photograph, they're just so cool-looking! Lionfish. My uncle had one once... it ate a lot of guppies. Lovely photo! Great shot of a very difficult subject. Really neat!!! !